Yahoo provides the platform for anyone to create own pipes, all you need is Yahoo account and you can start piping. In this tutorial I will combine data from USGS and Yahoo Map to show recent earthquake around the world. Step 3: Now you will see the pipes workspace. It looks like any IDE. 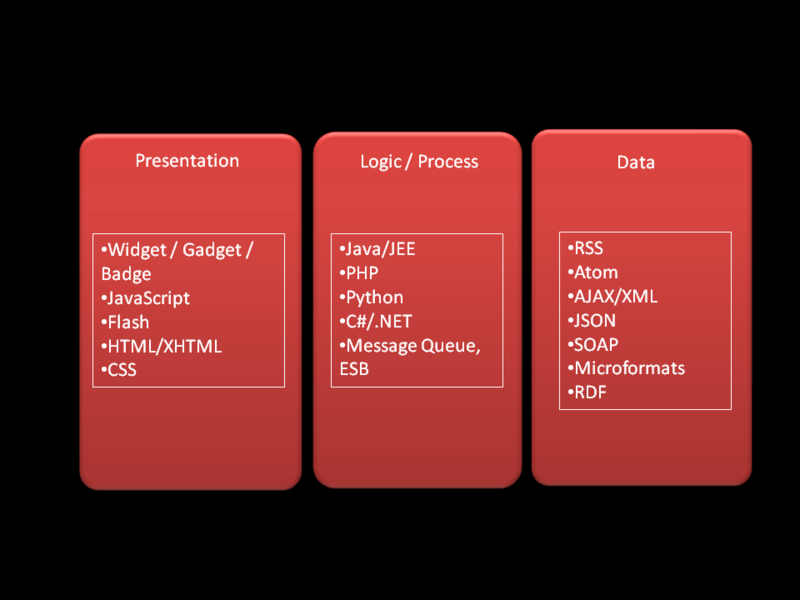 On the left hand side, you will all the modules available and on the right hand side it is the canvas for development. All you need to do is drag -n-drop the require component and wire them together. 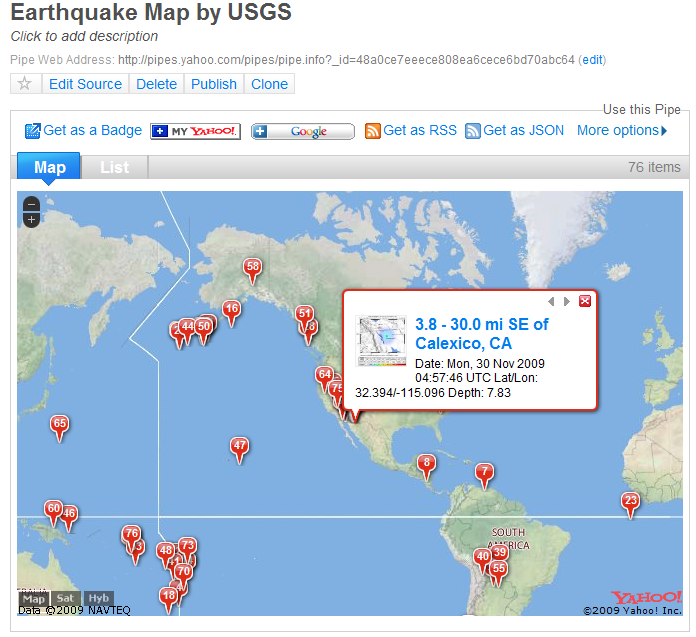 Step 4: Drag-n-drop the “Fecth Feed” module and enter the following URL: http://earthquake.usgs.gov/earthquakes/catalogs/shakerss.xml. Ignore the output pipe for now. Step 5: If you look into the RSS content, you will find the geo-location for each of the earthquake data. In this step, I will use “Location Extractor” module to extract the geo-location. It is located in the “Operators” group. Step 6: In Yahoo Pipes, once location extracted you can out the information for the pipes to automatically link it with Yahoo Map. Feature or limitation? up to you to decide :). With all the necessary modules in place, all you have to do is wire then together. Step 8: You will see the output from your pipe in a new screen. Yeah!! you’ve done it. Anyway, this is just a simple pipe. You can see what other has created, some are simple, some are complex… some are very complex. It is really up to you and your creativity to combine various module and create new service. You can publish it. It will be publicly available within the pipes communities. You can include it in your own site, by generating the badge. (see the script below below). Add this to your site/page to try it out. Did a bit of research on mashup couple of months ago and would like to share a short write up about it. The mashup I will be talking about here is about IT applications and Wikipedia defines it as “a web page or application that combines data or functionality from two or more external sources to create a new service”. The data or functionality are typically from other sites and accessible via APIs, XML feeds, screen-scraping, mashup server, etc. The diagram below should help to illustrate the definition. Mashup at presentation layer is the most common one we’ve seen. Many sites combining Google Maps and own data to provide new services. Those services will then rendered as gadget (Google and Open Social Standard), widget (IBM term), Badges (Yahoo! term). Mashup at logic/process layer and data layer typically done with the help of mashup server or application server. The definition of mashup at business logic layer is a little unclear to me because it looks like any server-side integration (using application server or service bus). Data mashup can be implemented at client and server-side. Like business logic, server-side data mashup require mashup server or application server. While client-side can be implemented using on-demand Javscript. IBM Lotus Mashups – Mashups Platform. See the video tutorial below. It is still at early stage. When I tried it out, it does not support IE 8 and FF 3.5.x. Future update should support them. Boeing Mashup – See the video below. It shows how Boeing uses IBM Lotus to develop a new services. Kapow Technologies – Known for its screen-scraping product. However it has more. My Twitter Nearby – did a simple mashup combining twitter data and google map to create twitter nearby. If you want to try, just click somewhere in the map and wait for awhile. You will see tweet nearby the area you click. 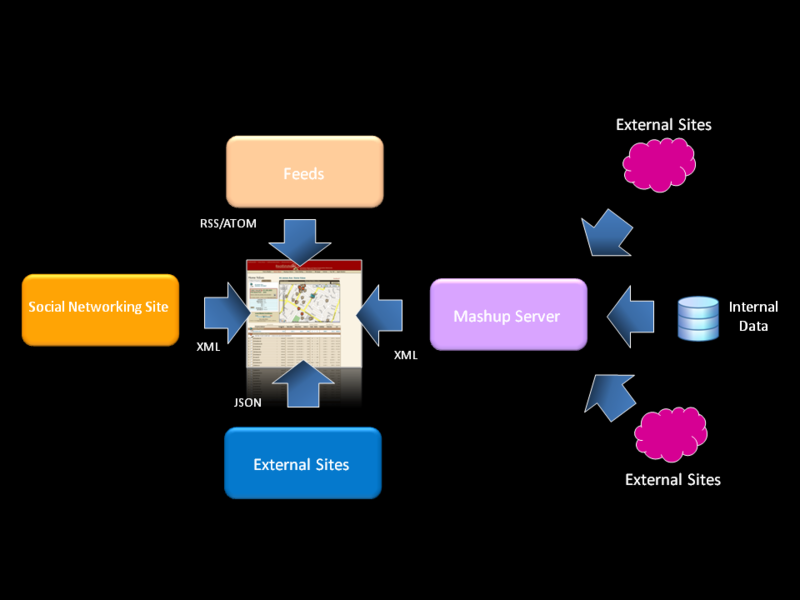 Do share with me your thought on Mashup and how your organization make use of it. Cloud computing is gaining momentum recently. It is they new buzzword and hype, however it is REAL. It is not a new technology, but it is a combination of existing technologies. In fact, Cloud Computing is currently at the peak of Gartner Hype Cycle 2009. What is Cloud Computing? It is “a collection of computing resources (cpu, memory, storage, etc) delivered as service over internet or private network.” (from Frost & Sullivan). Cloud computing is made possible with by right timing (green IT), right economic climate (financial crisis) and rapid development of technology that eventually form foundation to the cloud. Network Bandwidth, Broadband and Smart Devices become more pervasive and affordable. Public Cloud – Cloud that is open for public to subscribe and utilize, for example: Google, Microsoft Azure, Amazon EC2, etc. Private Cloud – Cloud that is hosted privately and own by enterprise. It is typically connected to the enterprise internal resources. Hybrid – Cloud that is combination public and private cloud. Typically separated by VPN or other secure network infrastructure. Let’s look at the taxonomy of the cloud. 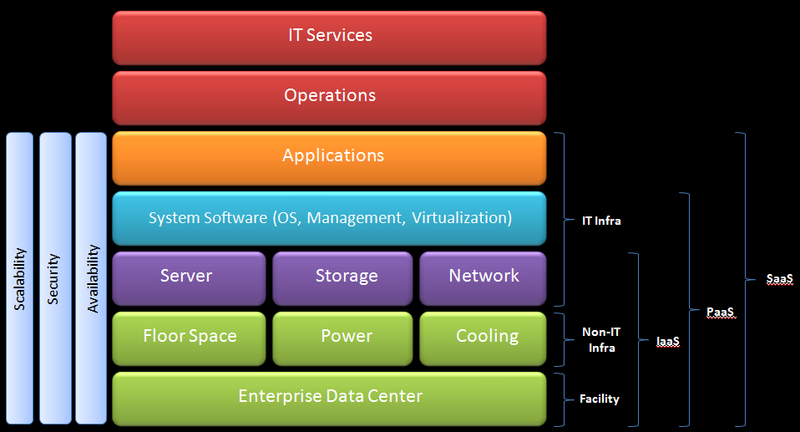 The above figure shows the typical stack of IT in an enterprise. From data center all the way to delivering IT services. IaaS – Infrastructure as a Service. The delivery of computer infrastructure as a service. For example Amazon EC2, Mosso, etc. 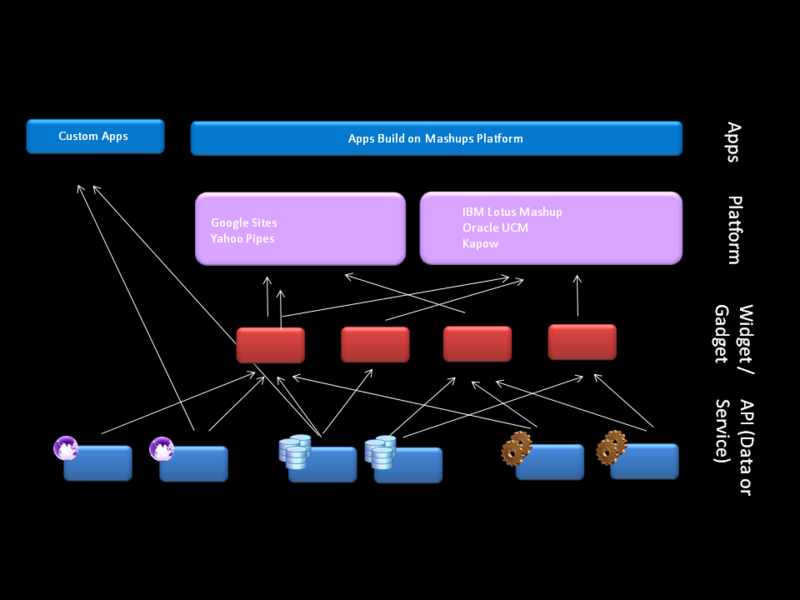 PaaS – Platform as a Service. 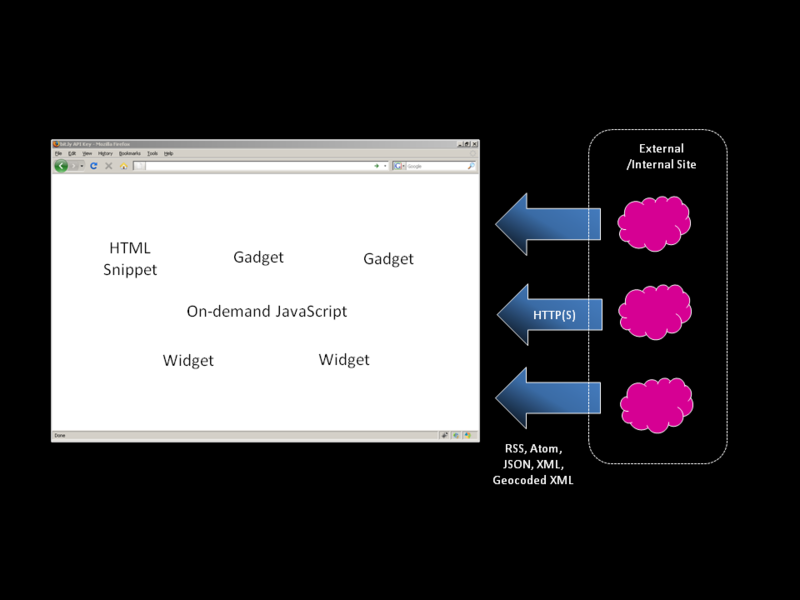 The delivery of platform (OS, middleware, database) as a service. For example Google App Engine, Microsoft Azure, etc. Saas – Sofware as a Service. The delivery of software/application as a service. For example Salesforce.com, Google App, WebEx, etc. For those considering or thinking about Cloud Computing. Do consider the benefit and challenges before moving ahead. Like other technology, it is not for everyone and is not a silver bullet. The last few years Cloud Computing seems to be on steroid. In US, the government has setup apps.gov (15/09/2009). The equivalent of Apple Apps Store but for government to subscribe to platform and software as services. In Singapore, cloud computing is also gaining momentum. In May 2008 (21/05/2008), Salesforce.com announced that it is building its first international data center in Singapore. The data center, which is expected to go live before the end of 2008, will service the company’s rapidly growing international customer base. Following that, in July 2009 (14/07/2009) SingTel announced it is collaborating with the Infocomm Development Authority of Singapore (IDA), International Enterprise (IE) Singapore, leading technology companies and software developers to establish Singapore as a regional cloud computing hub. 1999 – the arrival of Salesforce.com, which pioneered the concept of delivering enterprise applications (CRM) via web. The services firm paved the way for both specialist and mainstream software firms to deliver applications as service over the internet. 2002 – Amazon Web Services, which provided a suite of cloud-based services including storage, computation and even human intelligence through the Amazon Mechanical Turk. 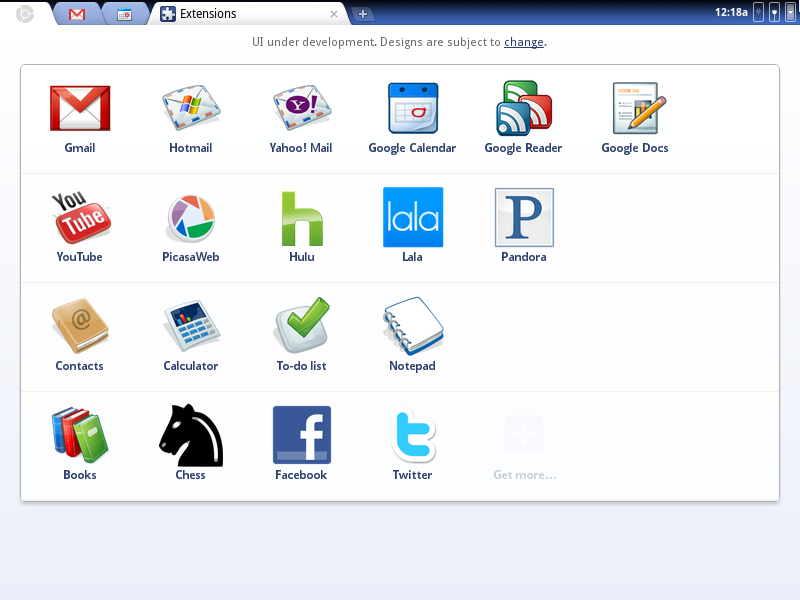 2009 – Google with its Google Apps offer browser-based enterprise applications. I personally never try it, so I won’t be able to share my experience. 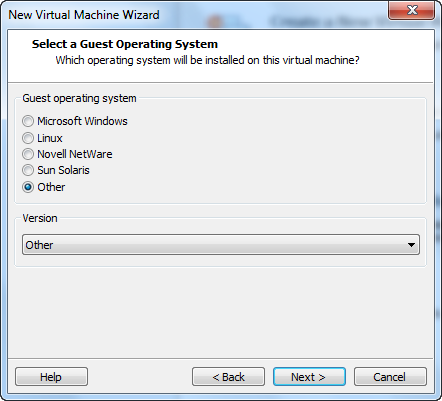 But if you worry about the worm, it is worth to try :)…..
Virtualization never stop to impress me. 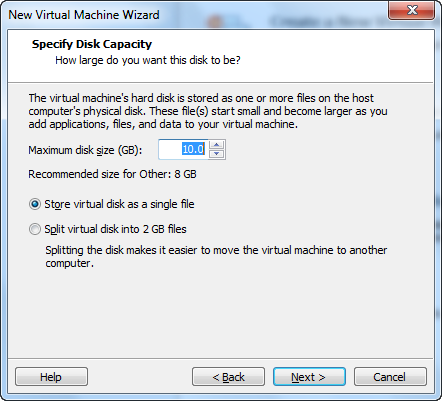 We can almost virtualize anything from application, server, network to storage. Recently, I found a company that does mobile virtualization. It claims to be the first. To find out more watch this. 2. 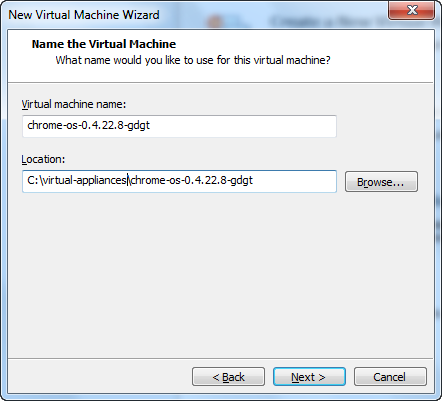 Click on “Create a New Virtual Machine” and the New Virtual Machine wizard will pop up. 7. This is the last page of the wizard. However there 2 more configuration required. Click on the “Customize Hardware” button. 9. 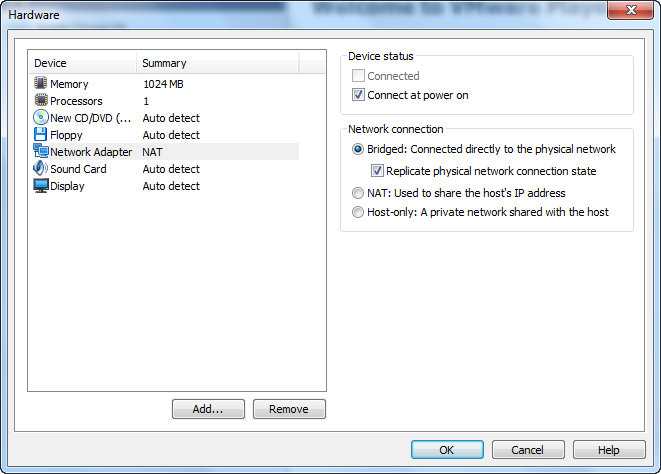 Select “Bridge” for the network adapter, then click “Ok”. 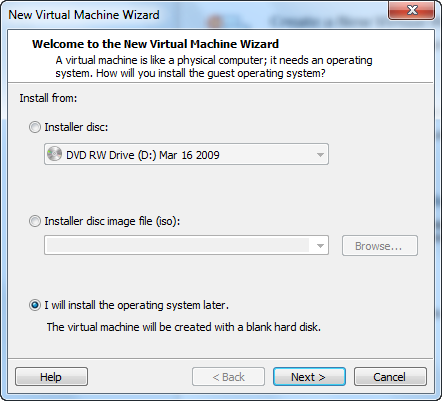 You will be back at the wizard screen, then click “Finish”. 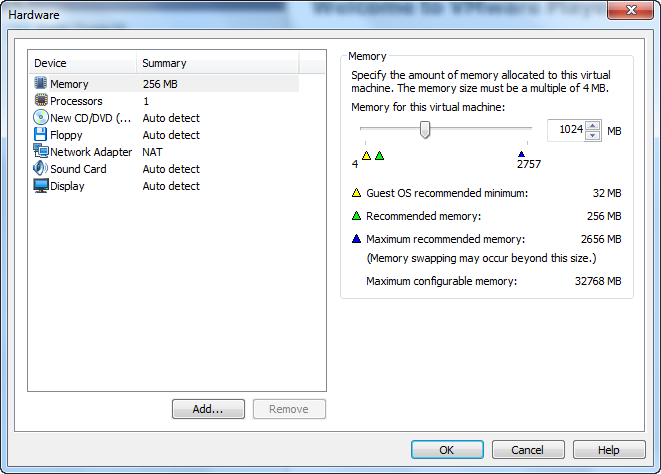 Now you have completed the VM configuration. 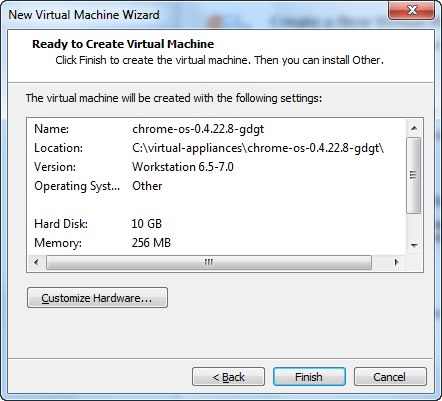 Before you can start ChromeOS, copy the vm disk (the one downloaded from gdgt) into the virtual machine folder. 10. 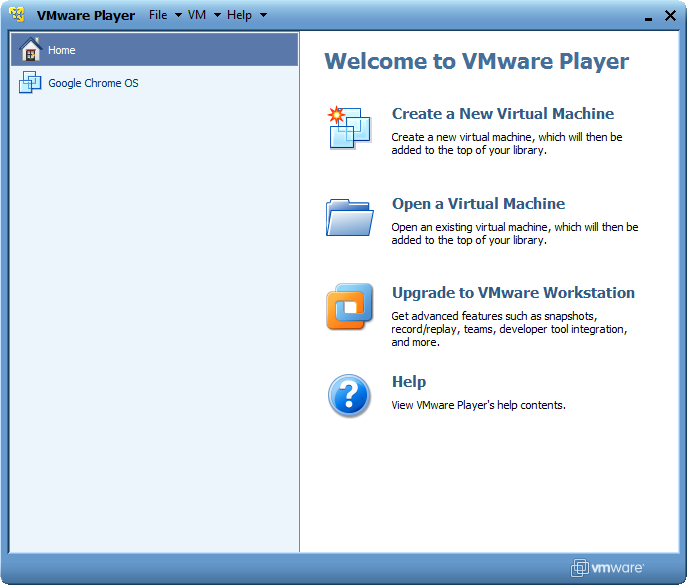 Launch VMware Player then select the newly created vm and click Play. 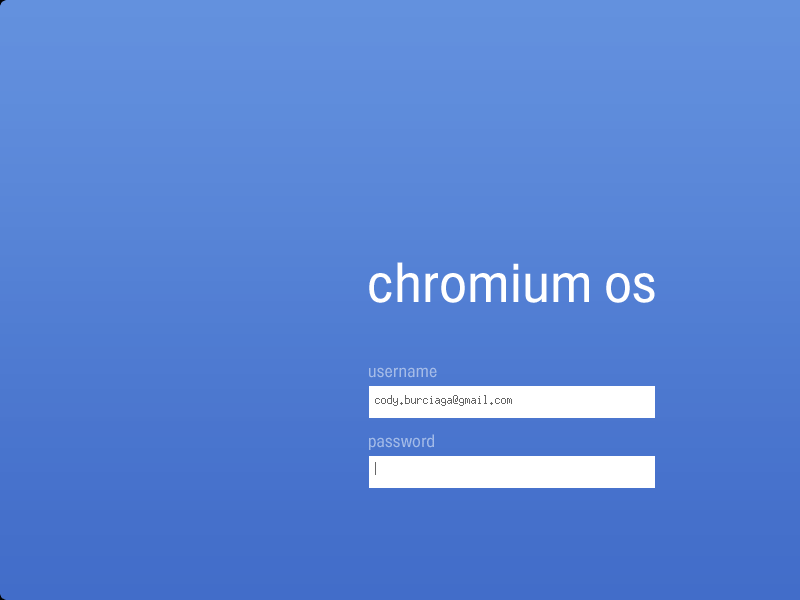 Once the VM start and loaded, you will see the ChromeOS login screen. 11. Use your google/gmail user id and password to login. Once login, you will see Chrome Browser. That will be the main screen of the OS. Have fun with ChromeOS! !